The old adage “you can’t have your cake and eat it too” suggests that in life you just can’t have it all. 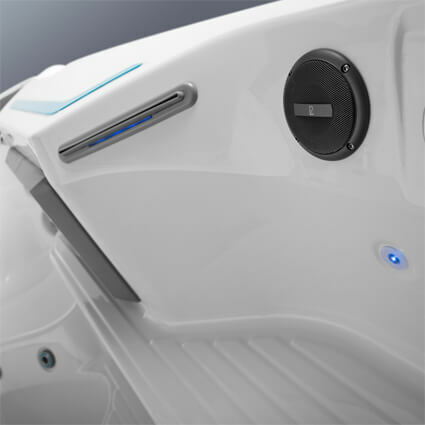 When it comes to swim spas from Great Atlantic Hot Tubs, Pools & Saunas, we know that’s not the case. When you buy an Endless Pools Fitness System, you get a pool, hot tub and aquatic fitness center all rolled into one. 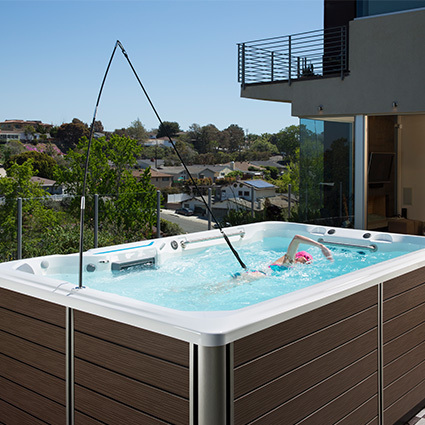 Basically, a swim spa is one-piece fiberglass reinforced acrylic mini-pool. It’s designed so that you can swim, jog, exercise or play and soak in it. It’s smaller than a traditional in ground pool and can be placed above ground, partially inground or fully recessed. 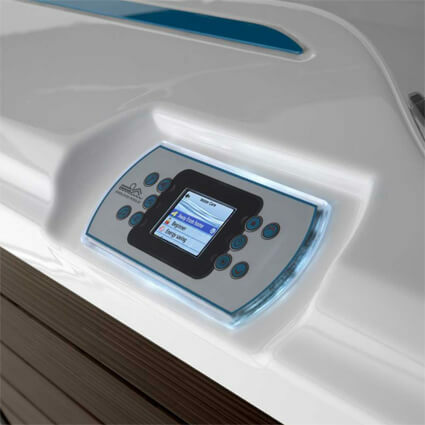 A swim spa takes less space, less time to maintain, and uses less energy to heat and operate than a pool. And, unlike a swimming pool, it can be used year-round. 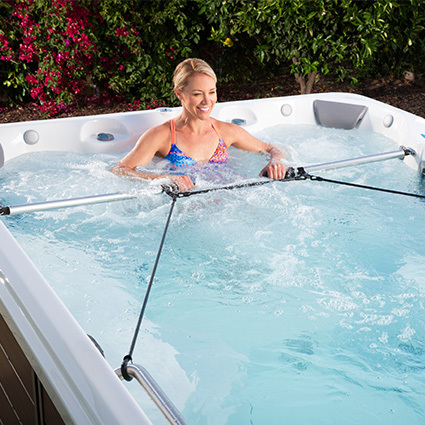 Whether you are a serious athlete or interested in options for low impact, recreational exercise and family fun, a swim spa is a great product to own. Our beautifully sculpted spa combined with hydrotherapy jet seats, an optional underwater treadmill and the Endless Pool swim current turns your home into an oasis for year-round exercise, relaxation and fun. No other pool offers such a complete solution for your health and well-being.